The Asp' sneaked past several opponents and managed to beat former World Champion Rob Cross 11-5 in the final. Cross was the favourite for the title after defeating Michael Smith 11-7 in the semi-finals, but Voltage was not able to live up to the expectations. 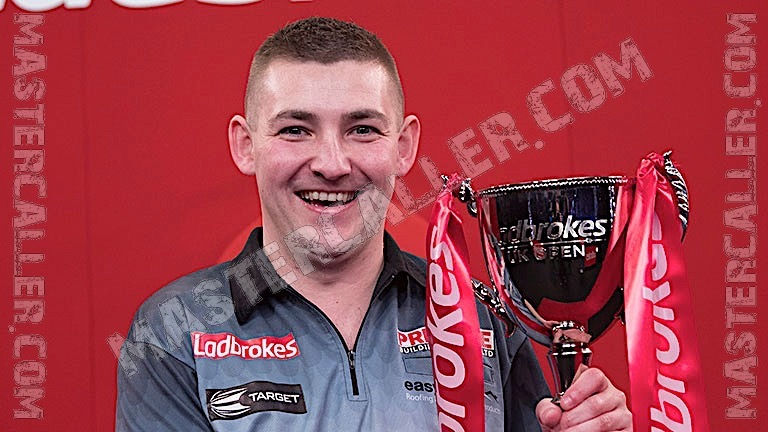 Aspinall, who won his first televised PDC-tournament in Minehead, stunned Gerwyn Price in the semi-finals already and completed his fairy-tale tournament victory later on Sunday evening. Michael van Gerwen, the world number one and reigning World Champion, suffered a very early defeat against Mervyn King. The loss of Raymond van Barneveld, who played his last UK Open tournament in Minehead, was disappointing for Dutch darts fans as well. Barney waved the Minehead crowd goodbye after losing to Simon Stevenson in the Third Round.